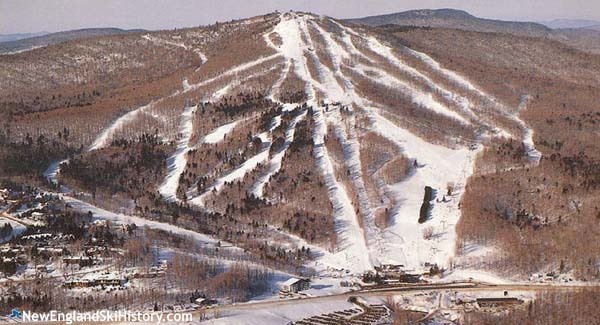 Located east of Manchester, Vermont, 3,263 foot Bromley Mountain has long been a destination for skiers. Circa 1935, John Perry, David Parsons, and Rolando Palmedo planned the "Bromley Run" via airplane. Located on the west side of Bromley Mountain, the run was likely cut in 1936 by Ralph Hutchinson and the Works Progress Administration (WPA). Snow trains were planned for transporting skiers and spectators to the area, however due to a poor snow year, the trail likely didn't open until late in the 1936-37 season. Either during the second half of the 1937-38 season, or starting in the 1938-39 season, Fred Pabst Jr., of Pabst Blue Ribbon fame, opened Little Bromley ski area as part of his growing Ski Tows, Inc. empire, likely using a rope tow that had operated at the nearby Equinox golf course. For the 1938-39 season, Pabst likely added a rope tow in the West Meadow, which was billed as a "200 acre high pasture open slope." Across the road from Little Bromley, the slope was located near Pabst's home, on farm land rented from the Walkers. While some ski areas closed during World War II due to shortage of materials and skiers, Bromley stayed open. In early 1942, it was said that the lower tow at Bromley (possibly the Little Bromley tow) was one of the few open on weekdays. As published in the Hartford Courant, "if you don't see anyone there, give the rope a jerk and Niles Carlson at the little house at the bottom will start it up." Nearby, Snow Valley had just opened a modern T-Bar lift. A variety of factors lead to significant change in 1942-43. Firstly, other areas with modern lifts were popping up throughout Vermont. Secondly, Pabst's Ski Tows, Inc. was proving to be too spread out and losing too much money. Thirdly, World War II material shortages were making supplies hard to come by. In response, Pabst doubled down on Bromley. The main portion of Bromley that he wanted to develop was owned by a family that was born in the town of Peru and planned to die there as well. To obtain the Walkers' land, Pabst purchased another plot in Peru and arranged for a landswap. 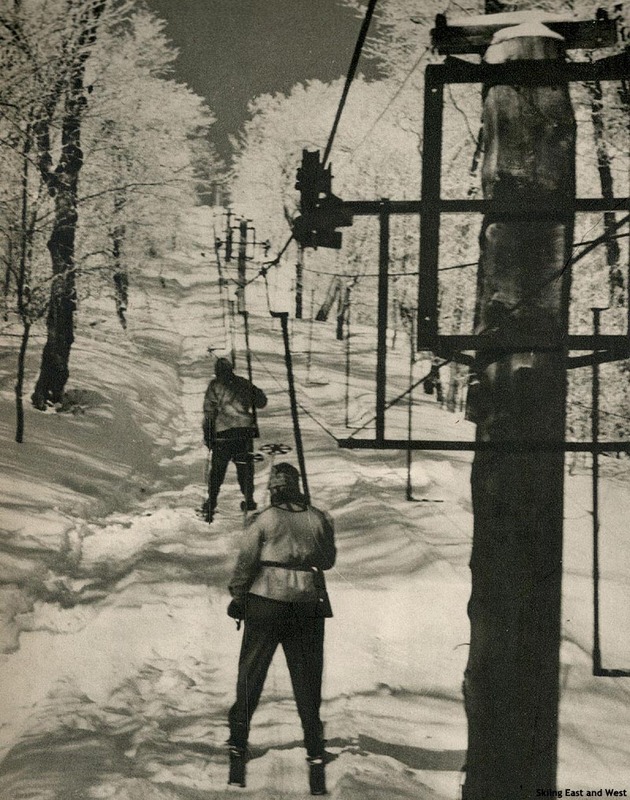 In early January of 1943, Pabst opened a 2,800 foot J-Bar between the Twister and East Meadow slopes. Originally from his Mt. Aeolus development in nearby Dorset, the lift was to be complemented with an upper mountain J-Bar from his Lake George development that season, however construction delays likely prevented that from happening until 1943-44. Seven new slopes and four new trails were added as part of the expansion. 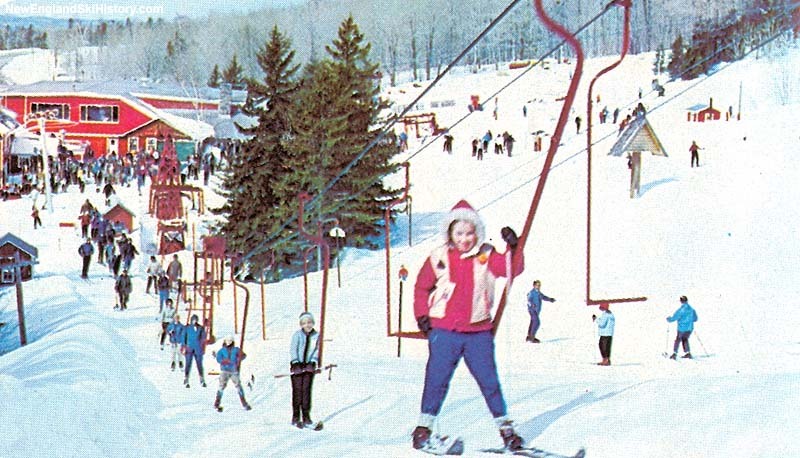 Once the two J-Bars were in place, Bromley was able to advertise a mile long tandem lift serving 1,300 vertical feet, making it a major player in the New England ski industry. Things were not all peachy, however, as the cafeteria at the base of the mountain burned on New Years Eve of either 1943 or 1944 (accounts vary). Pabst responded quickly by fixing up the old Walker barn in the interim. 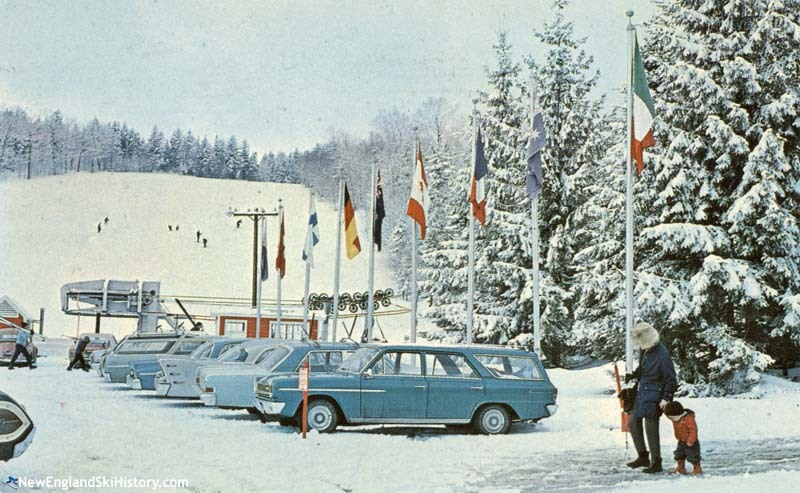 The Snow Bowl J-Bar, originally from Pabst's Plymonth, NH ski area, was likely installed for the 1944-45 season. The late 40s produced multiple poor winters. Pabst decided to focus on smoothing out his slopes so that they could be skied with as little as 4 inches of snow. Using this technique, Pabst improved the Lord's Prayer slope by planting oats and winter rye, red top and timothy. 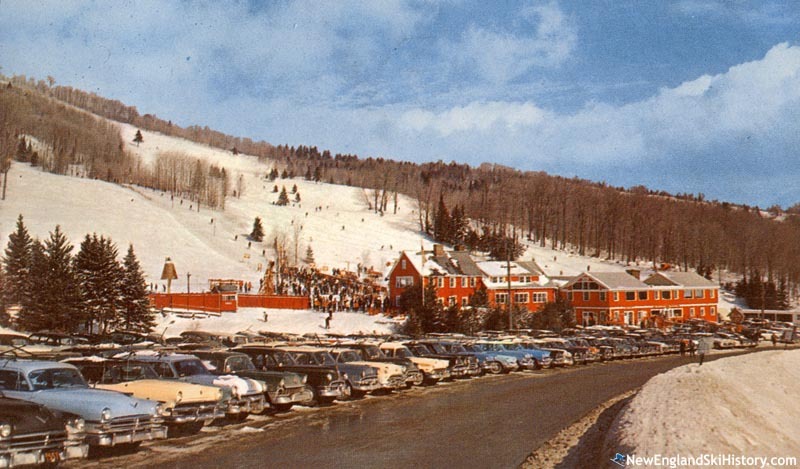 A J-Bar was installed on the slope for the 1947-48 season, either coming from his former Rib Mountain, WI development or his Intervale, NH ski area. Two rope tows were installed on East Meadows for the 1949-50 season, providing an alternate way to access the Snow Bowl J-Bar and, from the top of it, the Upper J-Bar. For the 1953-54 season, the original Little Bromley area was regraded and improved. Replacing the aging rope tow was yet another J-Bar, Bromley's fifth. The J-Bar either came from Pabst's Rib Mountain development in Wisconsin or his Intervale ski area in New Hampshire. Around this time, Pabst incorporated Bromley and sold stock, as he planned a new wave of expansion. For the 1955-56 season, Bromley replaced the tandem rope tows on East Meadows with a new Poma lift. For 1958-59, Bromley underwent its biggest transformation yet, when it installed a new 5,700 foot Riblet double chairlift to the summit. With this addition, Bromley became one of only four ski areas in the state with a chairlift. The new installation also meant that the aging Lower and Upper J-Bars were no longer critical components of the ski area. Additional trails were opened in the 1960s, including Run-Around in 1960-61 and The Glade and Spring Trail for 1962-63. After the rough winter of 1964-65, Pabst doubled down on Bromley by planning a major capital investment for 1965-66. Perhaps garnering the most press was the installation of a sizable Larchmont snowmaking system. Covering 23 trails, the system was advertised as the world's largest. The advantageous installation faced many initial problems, including construction delays and water quality issues. In addition to the snowmaking system, two new Riblet chairlifts were to be installed. While the Plaza double chairlift served novice terrain adjacent to the Lord's Prayer slope that season, the larger Stargazer installation was not completed in time. The second lift likely started serving nearly 1,000 vertical feet in the Snow Bowl for the 1966-67 season. Despite the early headaches, Pabst's investment in snowmaking paid off quickly. While few major areas in New England were open at the start of Christmas week, Bromley opened for Thanksgiving. By the time 1967-68 rolled around, Bromley had more than 50 snowguns, 18 miles of snowmaking pipe, and 9 million gallons of stored water. Slowed by heart problems, Fred Pabst Jr. stepped down as Bromley president in 1971. 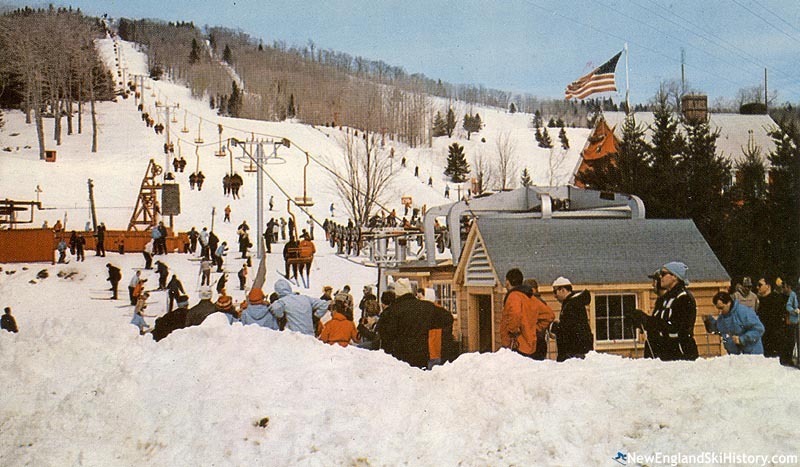 Another large expansion took place for the 1974 season, as $1 million was spent on snowmaking and lift additions. Replacing the lower and upper J-Bars was half of a Hall double-double chairlift, creating a second continuous ride to the summit. Replacing the East Side Pomalift was another Hall double-double chairlift, allowing for an easier ride for beginners. The double-double design of each lift meant that, thanks to the large central towers, a second double chairlift could be installed adjacent to each at a much lower cost. Bromley took a large step toward becoming a year-round attraction when manager Stig Albertsson installed the famous alpine slide in 1976. Albertsson's Alpine Slide Corp. licensed the concept from Demag Corp. of Germany, which had developed the design in 1972. Careful agreements were put into place to ensure no other nearby ski areas would be able to install one. On March 1, 1977, nearly 40 years after he started the original Bromley development, Fred Pabst Jr. died of a heart attack. A memorial service was held for him on the slopes on March 3. In subsequent years, Albertsson reportedly attempted to purchase Okemo to employ economies of scale. 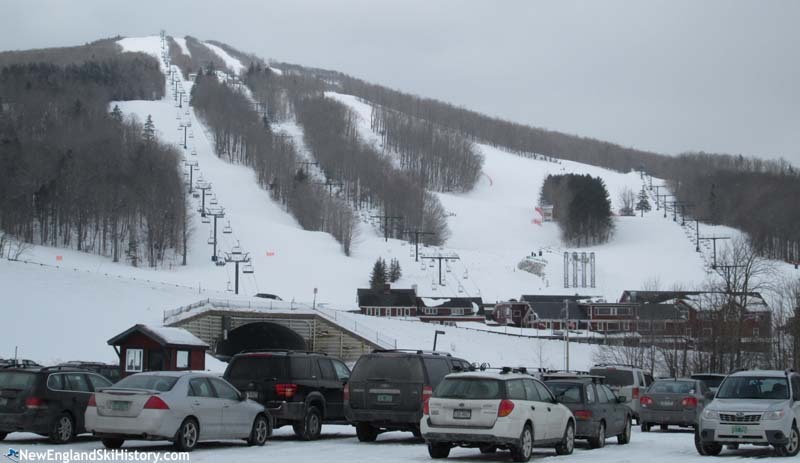 Unable to acquire Okemo, Albertsson approached the owners of nearby Stratton and negotiated a sale. In 1979, just over two years after Pabst's passing, Bromley was sold to Stratton for a reported $2.5 million. The following spring, Stratton and Bromley were sold to Moore and Munger, Inc. In 1984, the second half of the Sun double-double chairlift was finally added, when a new Von-Roll double was added to the lower half. The new chairlift provided beginners with another uphill option, while also allowing for another way for intermediate experts to access the Snow Bowl. In the fall of 1987, Magic Mountain purchased Bromley from Moore and Munger, Inc.. The following year, the new ownership, led by Simon Oren, installed a new Poma fixed grip quad at Bromley. Named after Pabst's famous beer, the Blue Ribbon Quad provided modern, high capacity lift service in the Snow Bowl. Unfortunately, 1988-89 was once again a bad snow year. By the time 1990 rolled around things were starting to crumble and Oren reportedly sold his stake in the business to Joe O'Donnell and Petros A. "Bob" Palandjian. Following the 1990-91 season, the decision was made to close Magic Mountain. After the 1992-93 season, Magic and Bromley were separated. Magic was put on the auction block, while Bromley was put up for sale, with management citing the prohibitive cost of the environmental review necessary to rebuild the snowmaking at the latter as a reason. Ironically, Guinness was reportedly interested in purchasing Pabst's old ski area. In the end, O'Donnell remained an owner of Bromley and continued to move it forward. During the 1994-95 season, Bromley signed a marketing agreement with industry giant S-K-I Ltd..
Big changes were in store for the 1997-98 season. As part of a $3 million project, the last of Fred Pabst's J-Bars, was removed, as well Pabst's first chairlift. Replacing the Lord's Prayer J-Bar was a used T-Bar, which was installed as part of a major snowboard park development. 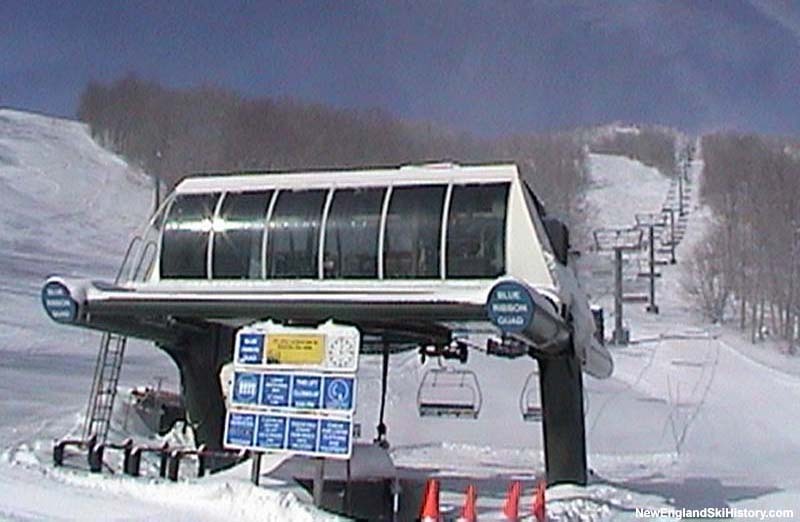 The largest part of the season's improvements, however, was the installation of the Sun Mountain Express. A Doppelmayr Detachable Quad chairlift, the Sun Mountain Express cut the summit ride time by more than half. In June of 2011, Joe O'Donnell's longtime Jiminy Peak partner Brian Fairbank and son Tyler Fairbank took over the management of Bromley. On the evening of December 16, 2017, Bromley's main pump house was lost to a major fire. Snowmaking operations were halted for a month as a makeshift setup was cobbled together to preserve late season skiing. A new pump house was constructed in 2018.